Lonsdale never ran an obstacle race prior to losing his leg. That didn't slow him down. Patrick Lonsdale photo. There's an ages-old joke about a man who, facing the prospect of having hand surgery, asks his surgeon "Will I be able to play the piano after the operation?" to which the doctor responds, "I don't see why not." "Great, because I could never play it before," the man in the joke retorts. The joke is as corny as they come, and has likely been told by countless dads at countless barbecues across countless generations. And yet that joke, or some extreme variety of it, is the actual reality for 48-year-old Patrick Lonsdale of Santa Cruz, California. Back on January 28, 2013, Lonsdale was among the first skiers on the hill at his adopted ski home of Squaw Valley when he suffered a freak accident while skiing the resort's Siberia Express lift, hitting his leg on a liftline divider with so much force that he suffered a compound fracture of his left tibia and fibula and severed an artery in his leg. Lonsdale said the experience of spending over 1,000 nights sleeping in the back of his truck in ski resort parking lots to get first tracks taught him about perseverance. Patrick Lonsdale photo. After nine surgeries, 15 blood transfusions, 40 nights in a hospital and eight months of resting and rehab all in an attempt to save his left knee, doctors told Lonsdale he only had one choice if he wanted to salvage what was left of his leg: amputation. "The tenth surgery was the amputation in August 2014," Lonsdale told TGR. "January 1, 2015 was the last cleanup surgery. I like to think that's where my road to recovery started." Prior to the amputation, Lonsdale had always led an active life: Lonsdale grew up learning how to ski with New England ski legend John Egan at Vermont's Sugarbush. But he was never a triathlete. He had never finished a Spartan Race. And, as a man in his forties facing life without a limb, it would have been reasonable if those tasks were never checked off the bucket list. But then, nothing about Lonsdale's recovery after amputation has been reasonable. Eight months after losing his left leg, Lonsdale ran his first-ever triathlon. Ten months after amputation Lonsdale completed his first Spartan Race. 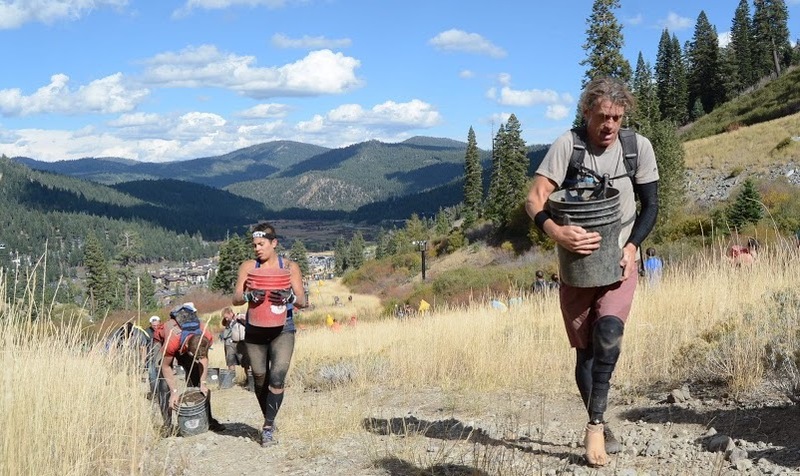 By the time his two-year amputation anniversary rolled around, Lonsdale had completed 10 Spartan Races, two triathlons and reached a cool 60 miles per hour while skiing on his prosthetic. Lonsdale grew up skiing with John Egan, and is still ripping on the sticks after losing his left leg. Patrick Lonsdale photo. "I feel lucky I lost my leg at an old age," Lonsdale told TGR. "At that point I'd lived most of my life as a ski bum, and my attitude was always, 'Do whatever it takes to ski.' That helped me out because I skipped the five stages of grief and just went straight to 'Okay, what do I need to do to get back on skis?' when the doctor told me they were going to hack my leg off. It would have been devastating if I was young." But determination is nothing without direction, and Lonsdale was lucky to have a stellar support network following his accident: He says the first call he made after losing his leg was to Egan. "John told me, here's the man you need to talk to, his name is Roy," said Lonsdale. That Roy was Roy Tuscany, the founder of the High Fives Foundation, a nonprofit that helps athletes recover from traumatic injuries. "I don't remember what Roy said in that first phone call," Lonsdale told TGR. "All I know is it was utterly positive. He said, 'Whatever High Fives can do, we'll be here for you.' Being a guy I never want to call someone and say, 'I'm sad. I'm depressed.' But Roy and the folks at High Fives were always there to talk to me when I was at my lowest." Along with the support of High Fives, Lonsdale eventually got back into a ski boot and onto a ski hill. But it wasn't easy. "I didn’t think I would ever ski again," Lonsdale told TGR. "I realized skiing wouldn't be the hard part, just putting a ski boot on would be. 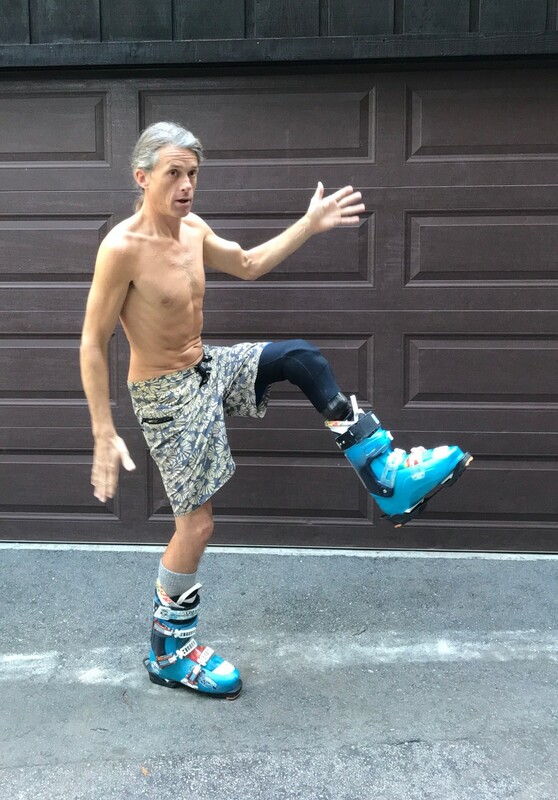 It was painful and damn near impossible to get used to a ski boot on my prosthetic, so I just spent two years walking around my neighborhood in ski boots to get familiar with it all again." "Every time I put on a ski and walked with it, there was some build up of the muscles needed in the leg and I got more comfortable," said Lonsdale. "I would encourage any skier who loses their leg to get back into a ski boot. It's great therapy. Once I could walk comfortably around in it again, I knew the time was right." 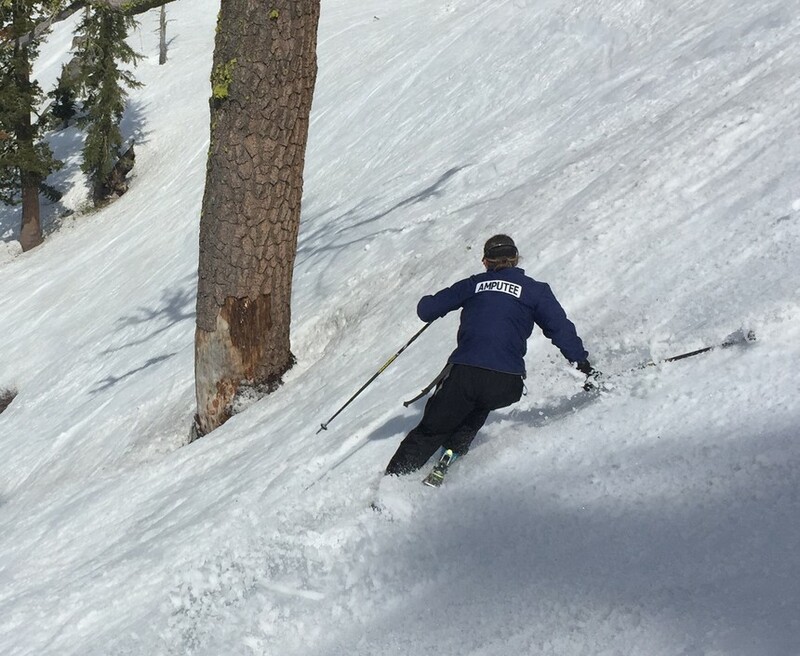 That first day on the slopes came three seasons ago for Lonsdale, and it wasn't long before Lonsdale was pushing his limits again: In only his eighth day back on skis, Lonsdale recorded 76,000 vertical feet at Squaw Valley during the Mothership Classic and clocked himself skiing 61 miles per hour. When asked about his first experiences back on two planks, Lonsdale says he remembers the experience vividly. "As soon as I clicked in and pulled to the lift, I knew it would be alright," Lonsdale told TGR. "I could feel the flex of the boot. I got on my first run, and the first turn was like 'Ooh this is weird.' The second run, it wasn't so weird. Third run it was, 'Hey this is pretty nice.' And by the fourth run it was, 'This is great.'" Now, Lonsdale is continuing to focus on his recovery, while assisting other amputees in getting over their own hurdles. "This injury will either tear you apart or build you up depending on how you react to it," Lonsdale told TGR. "I'd say the whole experience for me has been pretty positive, and now I can help other people. There aren't many people who know how to convey what the experience is like, and as great as all the people who helped me out are, many of them don't have the firsthand experience I have. That's where I can help inspire others like me." And Lonsdale insists there are some major perks that come with losing a leg. "The parking is outrageously good," Lonsdale joked. "Skipping the TSA line is great as well. I don't remember the last time I waited in airport security." In an email correspondence with TGR, Lonsdale emphasized that he wants to show other amputees that things can get back to normal with effort. He notes that he continues to work full-time as a carpenter and says he has an audacious longterm goal: Completing 100 different obstacle races or triathlons and volunteering after each of them to help others.